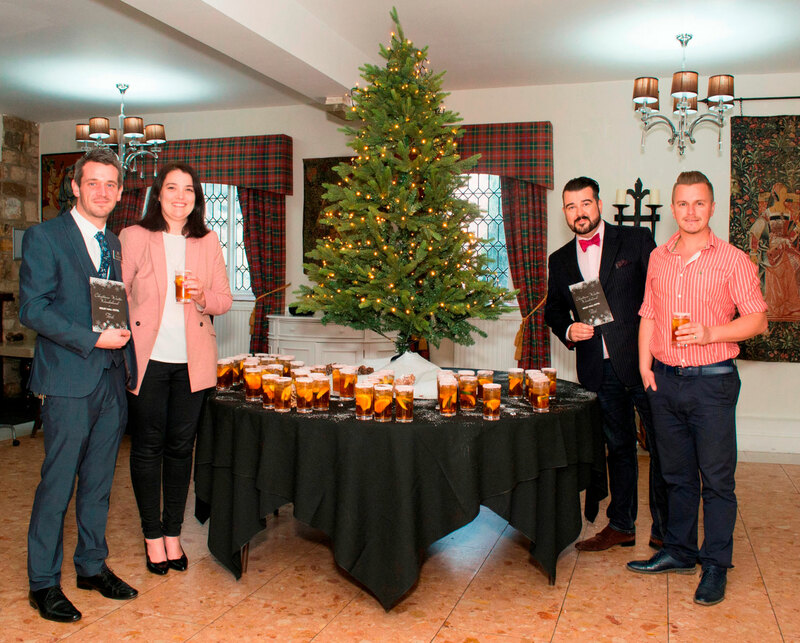 Members of luxury business networking service, KuKu Connect Derbyshire, were recently greeted at Risley Hall Hotel, Risley with a full size Christmas tree, Christmas cocktails and festive themed canapés, with all the trimmings. KuKu Connect Derbyshire chooses interesting and luxurious venues across the local area for their monthly business ‘Connect Receptions’ and Risley Hall Hotel was selected for its English country house style and hospitality. Over 60 local Derbyshire business people met in the baronial banqueting hall where they shared information and ideas whilst building lasting business relationships. KuKu Connect has generated over £1million of shared business in the past 12 months. Co-founder, Philip Brooks-Stephenson who lives locally explained, “Historic Risley Hall Hotel is a much loved venue and can boast baronial splendour. We love to add a twist to our events and when the Hotel’s General Manager, Gareth suggested a festive theme, we knew that was going to be rather novel for September and very ‘KuKu’. He continued, “Our Connect Reception events are unlike usual networking events; they are informal and relaxed and are hosted in exceptional venues. We mix business with pleasure which helps guests to build genuine business relationships, which can develop into winning new clients and making partnerships with suppliers and synergistic companies; we call it ‘connecting’ and its so much more effective for businesses. The 35 bedroom hotel is central to the area and is popular with local people for afternoon teas and dining, it is also popular with visitors for corporate events, conferencing and weddings.